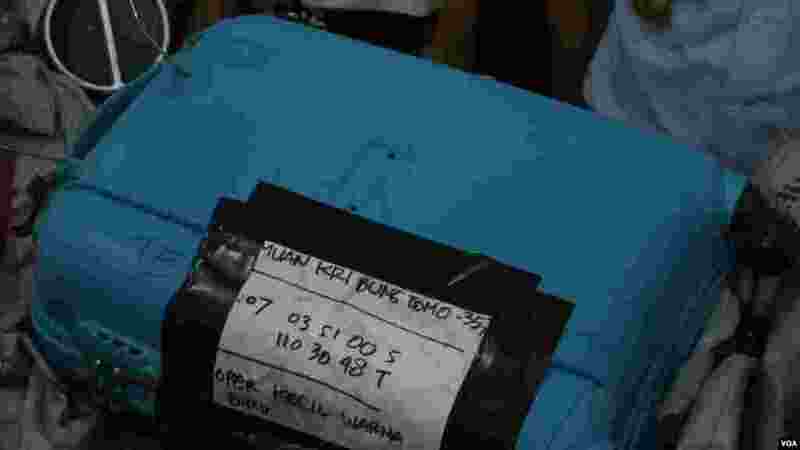 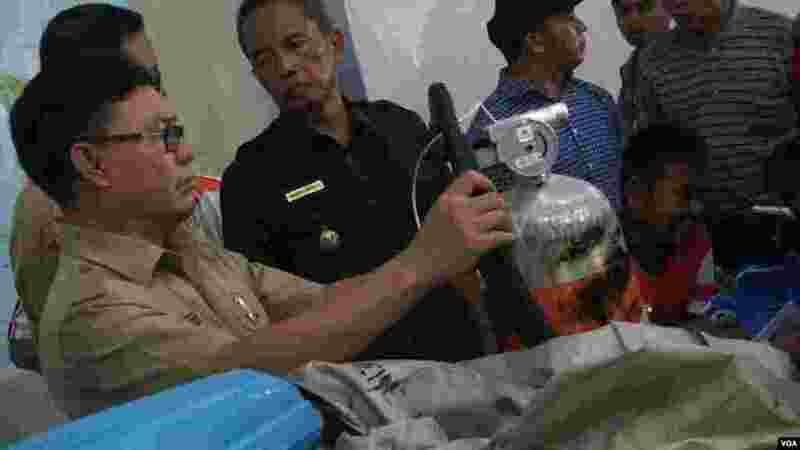 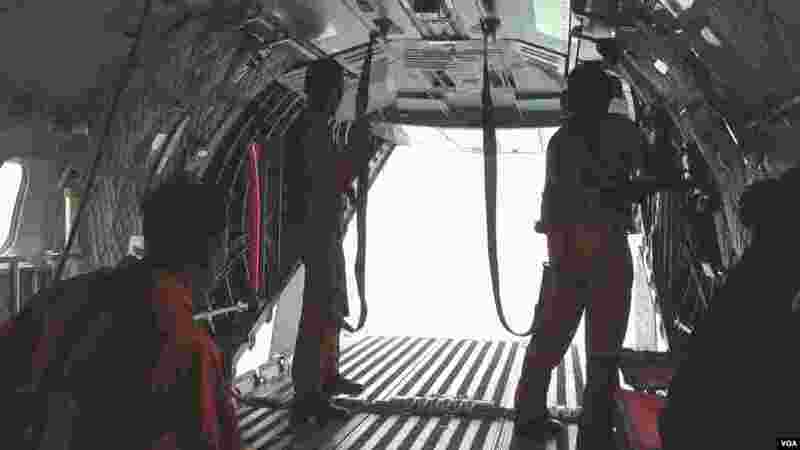 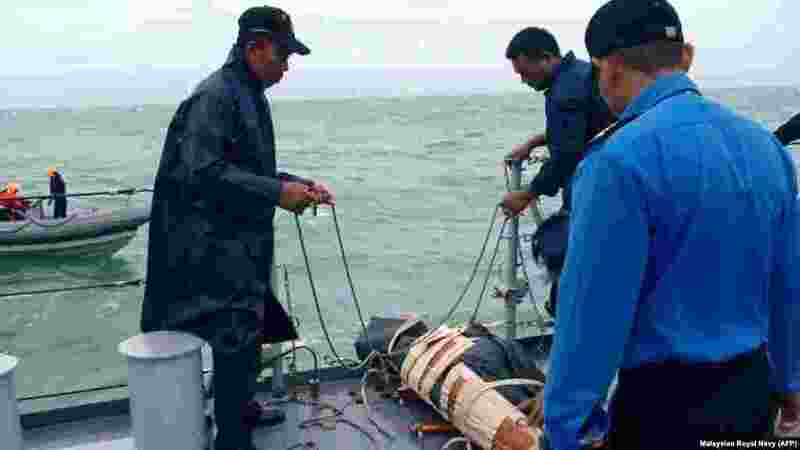 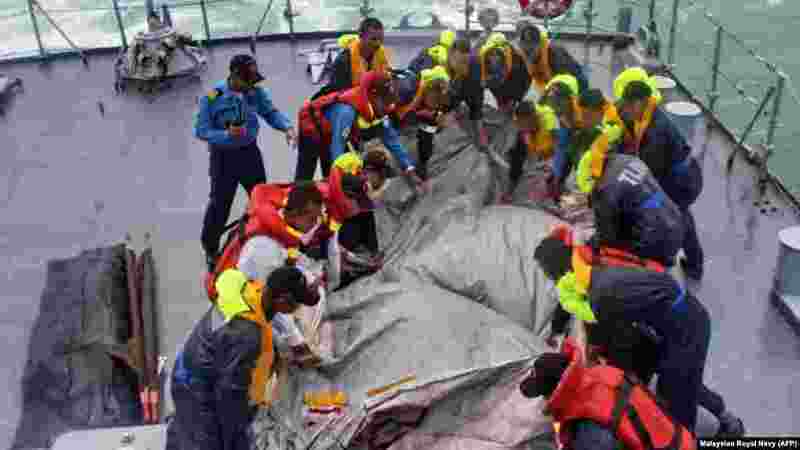 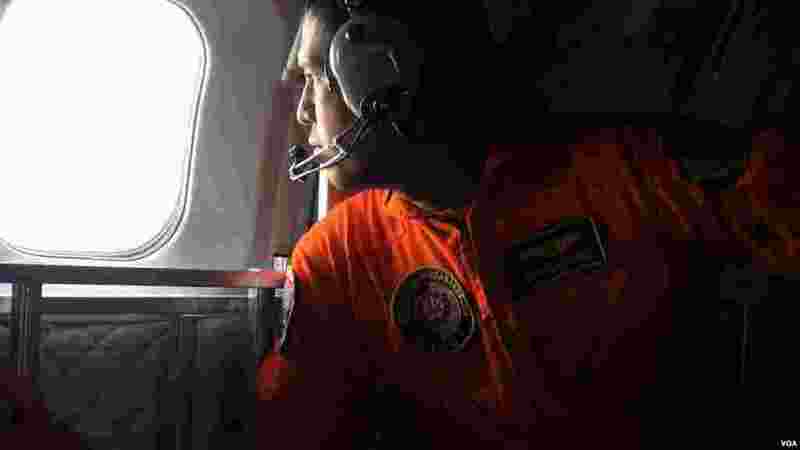 6 Royal Malaysian Navy crews retrieve the emergency evacuation tube from AirAsia Flight 8501 during their search-and-rescue operations in Indonesia's Java Sea. 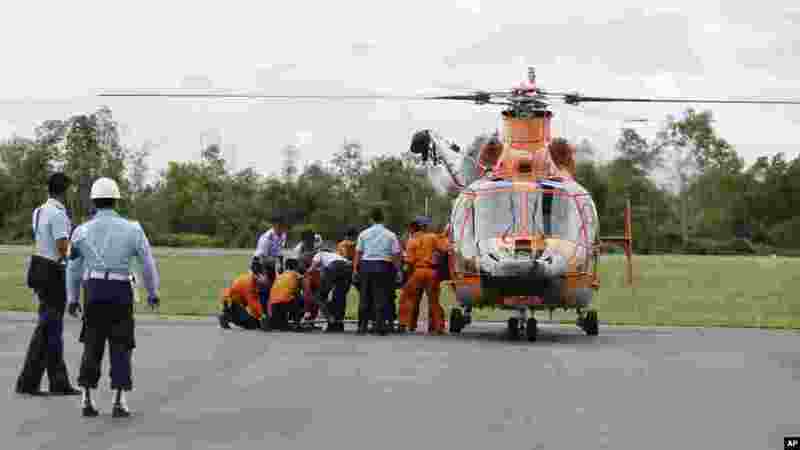 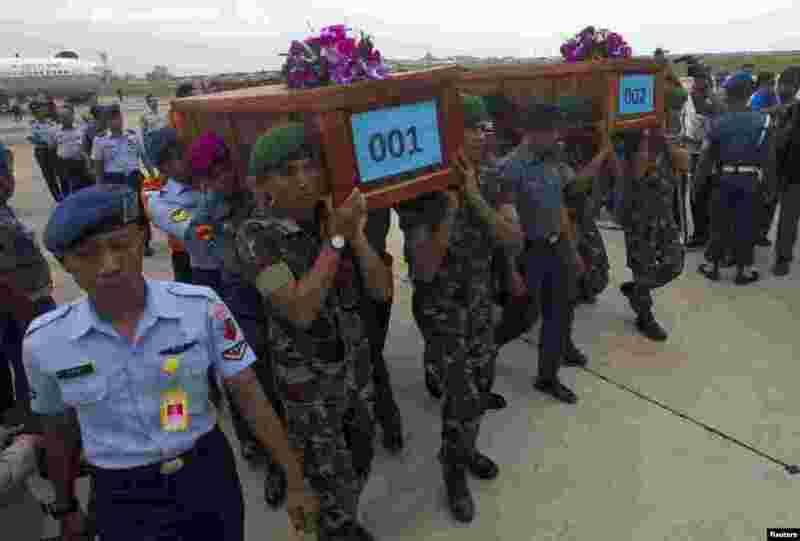 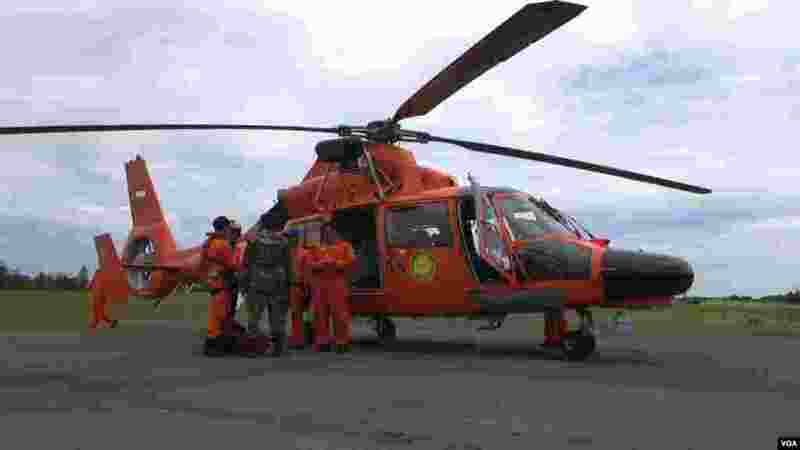 7 Officers of the National Search And Rescue Agency (BASARNAS) and Indonesian Air Force personnel unload a victim's body of the ill-fated AirAsia flight QZ 8501 from a helicopter at the airport in Pangkalan Bun, Indonesia, Wednesday, Dec. 31, 2014. 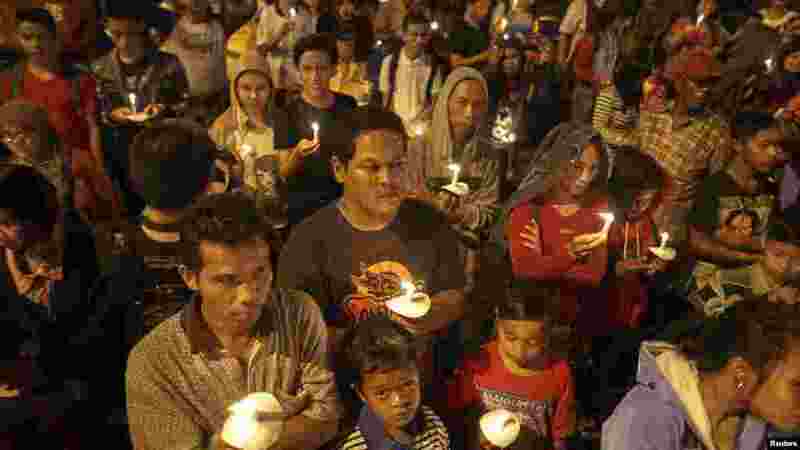 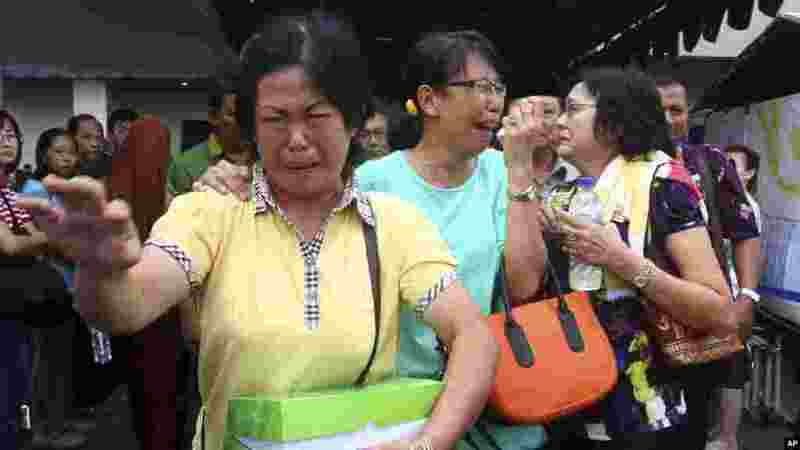 8 Relatives of passengers of AirAsia Flight 8501 cry after visiting the crisis center at Juanda International Airport in Surabaya, East Java, Indonesia, Wednesday, Dec. 31, 2014. 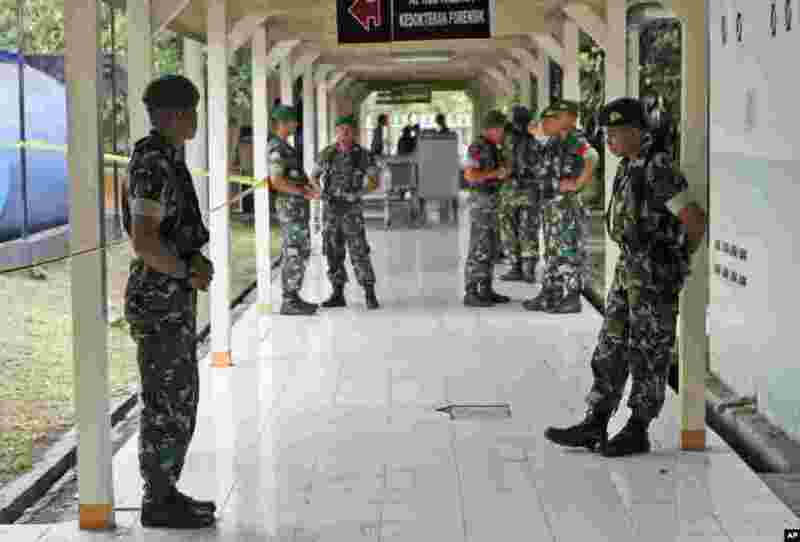 9 Indonesian soldiers stand guard in a hallway at the police hospital where the bodies of the victims of AirAsia Flight 8501 are brought into for identification process, in Surabaya, East Java, Indonesia, Dec. 31, 2014.